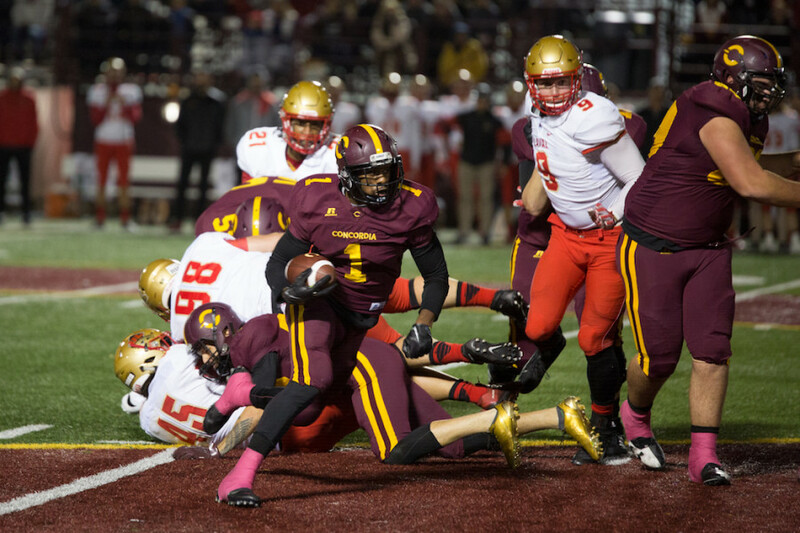 On Sept. 24, the Concordia Stingers and Université Laval Rouge et Or duked it out in a thrilling 12-8 game that ultimately saw Laval come away with the win. Concordia lost their starting quarterback Trenton Miller in that game, and it was a blow for the maroon and gold. With the playoffs fast approaching, the team has been struggling to recover from his absence. Fast-forward to Friday night and the same kind of anticipation was in the air. 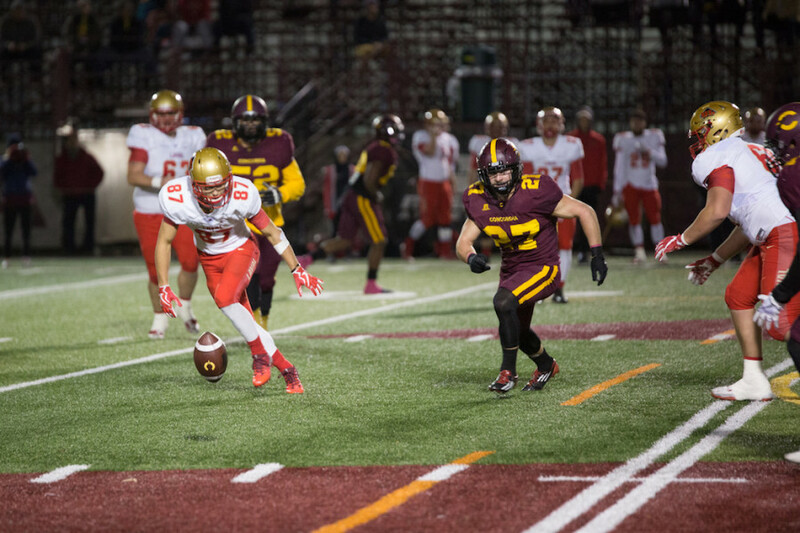 Concordia had just clinched a playoff berth and second string quarterback Adam Vance was coming off an excellent performance against rivals, the McGill Redmen the previous week. At the end of the first quarter, Laval was ahead 14-7 but neither team had truly seized momentum up to that point. Stingers head coach Mickey Donovan was happy with the way his team started. “Our first quarter was great and with the amount of injuries we had it was a really good sign for the playoffs and for next year too,” said Donovan. However, at the beginning of the second quarter, Vance left the game with a shoulder injury, handing the reins to the freshman third-string quarterback Antoine Marcoux. Marcoux, only completed one pass on three attempts, and threw a nine-yard touchdown pass to Qwintyn Rice at the beginning of the fourth quarter. The defensive side of the ball wasn’t going much better for the Stingers either. Defensive tackle Brandon Pacheco was quick to point that out. Turnovers didn’t help the Stingers’ problems either. They had four fumbles throughout the game, two of which led directly to touchdowns, including a 73-yard return by Laval linebacker Daniel Tshiamala. After Vance’s injury, the game began to spiral out of control. A game that had once been tied at seven had suddenly seen the Rouge et Or score 32 unanswered points. By then, the game was all but over. The prospect of having to face second place Université de Montréal Carabins, with so many injuries will be a challenge for the Stingers. “It’s football. Every team has key guys injured we just have to focus on making one play at a time and showing up to CEPSUM next week at our best,” said Donovan. Donovan added that he’s confident his team can stack up and compete with any team in the league but that beating them would just be a question of playing as well as they could for four quarters. Arguably the only bright spot in Friday night’s game was fourth-year running back Jean-Guy Rimpel. He picked an impressive 137 yards of rushing on just 13 attempts including a ridiculous 84-yard run that help set up the first Stingers touchdown. The Stingers have still managed to make the postseason this year and will be facing off against Université de Montréal Carabins on Saturday, Nov. 4 at the CEPSUM.